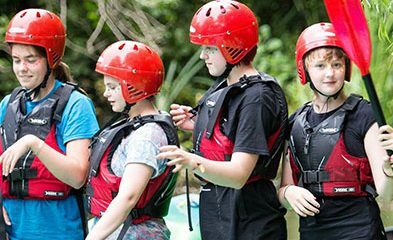 Once upon a time, there were 17 Guides from across Oxfordshire and beyond who had nearly completed their Baden-Powell Challenge Award. They gathered together on a cold January weekend to share their love of stories. 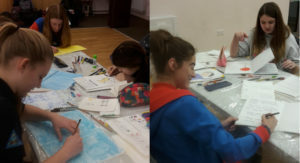 They examined a variety of children’s picture books, looking at how the illustrations and words worked together to tell the story and then produced their own books. 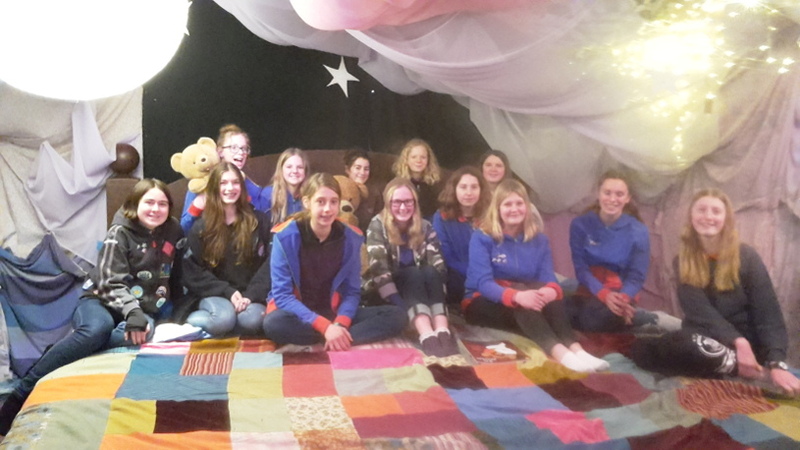 A member of the Senior Section came to tell them her Guiding story, including her amazing trip to Iceland, visiting the Blue Lagoon, whale watching, Icelandic pony trekking, glacier hiking and kayaking. 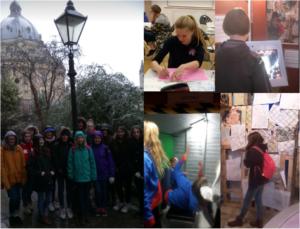 As the snow came down, they braved the elements to travel into Oxford to look at some literary sights and to visit the Story Museum. 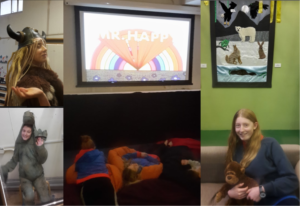 They dressed up for the Talking Throne, relaxed on the bean bags for some Mr Men appreciation, enjoyed some down time on the story bed and made videos of their favourite film moments. 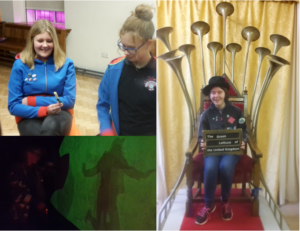 They explored how to develop an engaging character and challenged themselves analysing stories and discussing them with the group.